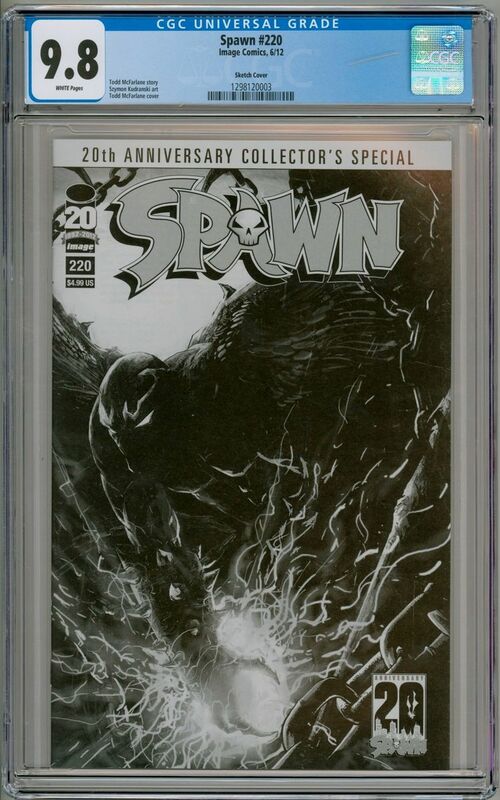 Spawn #220 Sketch Variant Cover CGC 9.8 graded comic book from Image Comics. It has been professionally graded by CGC, the largest independent comic grading company in the world, as 9.8 (NEAR MINT/MINT) and slabbed in a sealed protective case. The CGC grading process also assesses the comic for numerous types of restoration and found none. You can check the validity of this item by entering the 10 digit number on the label at the CGC comics web-site.